Now, I know what you’re thinking if you’ve just called up investor.gov in your browser: “Hey, this looks just like a brokerage site.” It certainly does, with all those faces of smiling investors, the picture of the piggy bank sitting on a pile of cash and a hundred dollar bill blanketing that egg that sits so comfortably in a nest. Even looking at the titles of the navigation bar (“Introduction to the Markets,” “Investing Basics,” “Research & Managing Investments” and “Employment to Retirement.”) gives a certain feel of a too-big-to-fail firm. Not to worry, though, for the SEC site doesn’t really (yet) contain all the bells and whistles of a comprehensive education site (nor should it, since that might give the appearance the government is endorsing a particular investment style). What is does contain are the kinds of simple platitudes that uninitiated investors will appreciate. 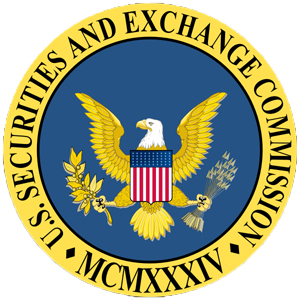 It also emphasizes such things as “the Role of the SEC” and “Avoiding Fraud” – two topics no compliance department in its right mind would permit on a financial service provider’s website. Since we usually write about fiduciary issues and that generally means retirement investing, let’s size up what the SEC has to say on that subject. First we’ll go to the slider headline (the one with the piggybank sitting on the pile of cash). It’s got the luring title of “Boost your Retirement Savings – Learn 3 Easy Ways.” Well, that just makes us want to push the little arrow button that says “start here,” and so we do. Rather than an elaborate display, the kind we might expect from the typical education site, we’re merely greeted with a perfunctory page consisting of one title “3 Easy Ways to Boost Your Retirement Savings” and three subtitles, each with 2-3 sentences beneath them. Presumably, these three subtitles match the “3 Easy Ways.” The first one is “Take Advantage of Company Matching.” That’s fairly standard but a bit outdated and lame given some of the latest research on the effectiveness of company matching. The second one is “Focus on Fees.” This is another outdated and oversimplified bromide that even the DOL has jettisoned. (The DOL says fees should be read within the context of performance.) Our final easy way is “Save on Autopilot.” You’d think this refers to the “opt-out” automatic deductions more and more companies are offering, but, no. This refers to employees asking their bank to automatically deposit a portion of their paycheck into an investment account. This sounds like regular savings, not retirement savings. Unfortunately, the lack of any meat in the “3 Easy Ways” really damages the credibility of the whole site. Not that the layman would know. But the sophisticated professional will at least be aware of the Wharton study issued in the summer of 2011 that listed three factors every investor has 100% control over that can lead to a successful retirement: 1) Investing early; 2) Investing more; and 3) Working until you have what you need. The SEC could have easily just referenced this paper and come up with three doable, understandable and more effective “Easy Ways” than the ones they listed. I then moved over to the “Retirement” portion of the “Employment to Retirement” menu option. If I was disappointed in the “3 Easy Ways” section, I was outraged at this section. Besides four awful internal links, it contains nothing but links to other government sites as well as a random set of other sites (FINRA, NASAA, ASEC, ABA and AARP). To give you a sense for how bad this section is, here’s the rundown of the four SEC links: 1) Managing Lifetime Income – in a nutshell, defined benefit/annuity=good, lump sum=bad, there’s not even an attempt at a fair and balanced overview of this important issue; 2) Avoiding Retirement Fraud – the ubiquitous fraud warning; 3) Senior Specialists Designations – another link to FINRA’s “what’s may designation mean” page; and 4) Social Security – everything you already know, unless you’re waiting until it’s too late to find out. All in all, although the look and feel of the sites are much improved, their usefulness all comes down to the classic GIGO adage. Bottom-line to the SEC: when it comes to providing investor education on the web, don’t quit your day job.